Prior To The Launch Of Google’s Email Service, Who Did Gmail.com Service? Prior to Gmail.com becoming the landing page for Google’s massive email service, it served a significantly more specific crowd. 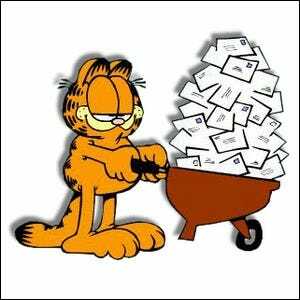 When the web was a much younger place and people were more apt to pick a quirky email provider, Gmail.com was the landing page for a Garfield and Friends themed email service–the perfect place Garfield fans to set up their virtual mailing address and establish themselves a die hard devotees of the comic strip. After Google purchased the domain, the Garfield-themed email service was transferred to e-Garfield.com before eventually being discontinued altogether.